No more ball mounts, no more slipping or rotating in the track. 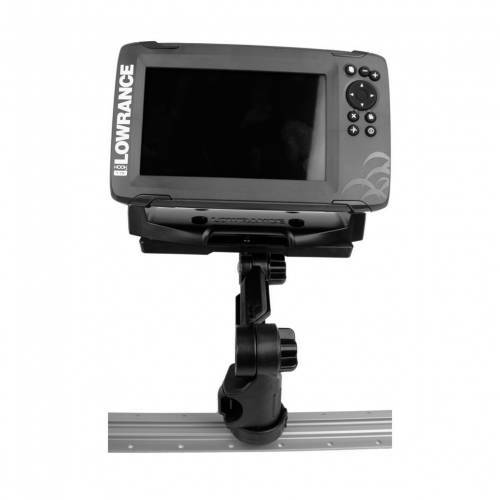 With the LockNLoad™ mounting system, this is the cleanest and most secure mounting solution for larger Lowrance, Garmin, and Raymarine units featuring a gimbal mount such as the Lowrance Hook2 7, Garmin Striker 9sv, and the Raymarine Axion 7. Features the LockNLoad mounting system offering ultra secure attachment to YakAttack GearTrac, Mighty Mount II, MightyMount XL, and most other factory-installed kayak track systems. Hardware included.